Milder in flavor, not too hot...Just Right! Our pure olive oil is naturally infused with fresh roasted garlic & chilies for a quick and easy burst of flavor for cooking. Offering a wonderful medium heat that will liven up your favorite pasta, seafood and vegetables. A nice spicy oil even for dipping bread. Drizzle on pizza to rave reviews. 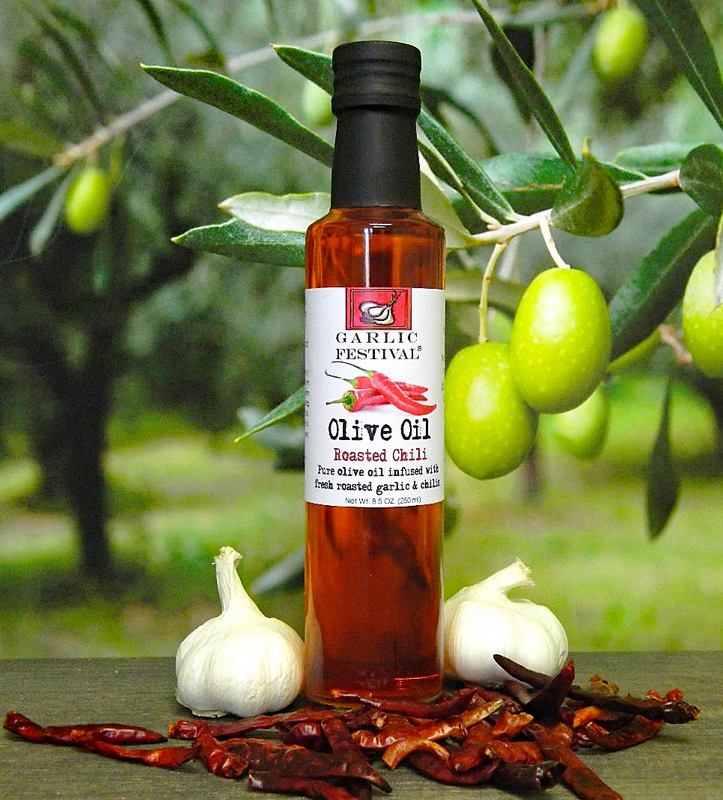 Ingredients: Imported Olive Oil Infused with Fresh Roasted Garlic and Fresh Roasted Chilies. All I can say is OMG!!! The flavor on this is out of this world! I use it on my zoodles and as a marinade on my steaks.